Give dollars and cents to counteract Pence! 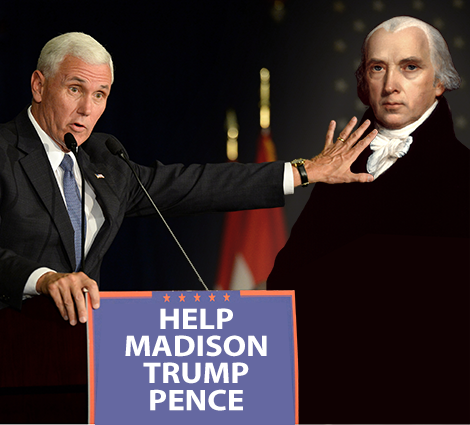 Your gift to FFRF's legal fund in Mike Pence’s name will be subversive (and deductible for income tax purposes). We’ll use your kind donation to fight the imposition of religion by our government under the guise of “religious liberty.” We’ll put your donation to work to shore up the fence Pence needs to honor: the wall of separation between state and church. The Freedom From Religion Foundation — fighting for you. Freedom depends on freethinkers. Thank you for your support. Already have an account with us? Please log in here to have your donation recorded to your account. Forgot your login? Request that information here.